Alocasia (Alocasia spp.) produces large leaves that earn some varieties the common name elephant ear. The tropical-looking plants feature variegated leaves and they quickly spread and cover bare, shady areas in the summer garden. Alocasia grows as a perennial in U.S. Department of Agriculture plant hardiness zones 8 through 11, depending on the specific variety. With proper planting and care, the plant can survive winter and provide summer greenery for years. Alocasia growth can be broken out into two catagories one catagory of Alocasia prefer moist soil (the green leaf types) and the other prefers very well drained soil on the drier side. (Amozonica) Alocasia is commonly referred to as Elephant Ear, the huge green to deep purple leaves bear a likeness to the ears of an elephant. Alocasia will adjust its size according to the amount of sun it receives. The more sun it receives the smaller it will be, the less sun it recieves the larger it will become "to a point". In some cultivars the difference can be staggering. The green leaf cultivars such as Calidora and California love water these types will grow well along side a pond or lake. Other cultivars prefer drier soil and if kept moist will develope crown rot these varieties are Longiloba, Amazonica and other like kinds. When growing the green type in the home landscape we recommend morning sun and afternoon shade in an area with an ample water supply. This will produce huge, broad leaves in Alocasia Calidora. We recommend a soil rich in organic fertilizer with composted manure. Compost should be worked into the soil at a ratio of 1/40 lb bag per 16 sq. ft. this ratio will produce the best results. A slow release 12 month balanced fertilizer applied in the spring will provide nutrients throughout the growing season. When fall arrives the plants should be allowed to die back by restricting water or the onset of frost at this point the bulbs can be brought in for the winter in zones 7 or above or left in ground in zones 8 and higher. Most Alocasia prefer high humidity and grow larger faster in humid conditions. 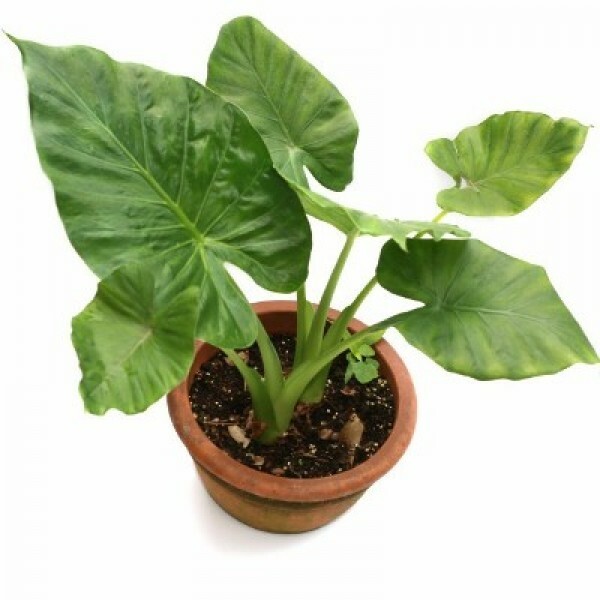 Alocasia can also be grown as a terrarium plant and tend to thrive in the humid conditions. Amazonica does well in moderate humidity and when placed in the controlled eviroment of a terrarium the results can be spectacular thus giving virtually anyone the ability to tend a piece of the tropics. Alocasia flowers are borne readily in upright clusters throught the growing season as a spath type flower and have a mild to fragrent smell depending on the species. I recommend trying Alocasia Calidora for first time growers but remember to leave room in your garden because you will have to have more. Alocasia tolerates both sun and shade, but it performs best when planted in partially shaded garden beds. A site with full morning sunlight but afternoon shade provides a better location than a bed that receives sunlight all day. 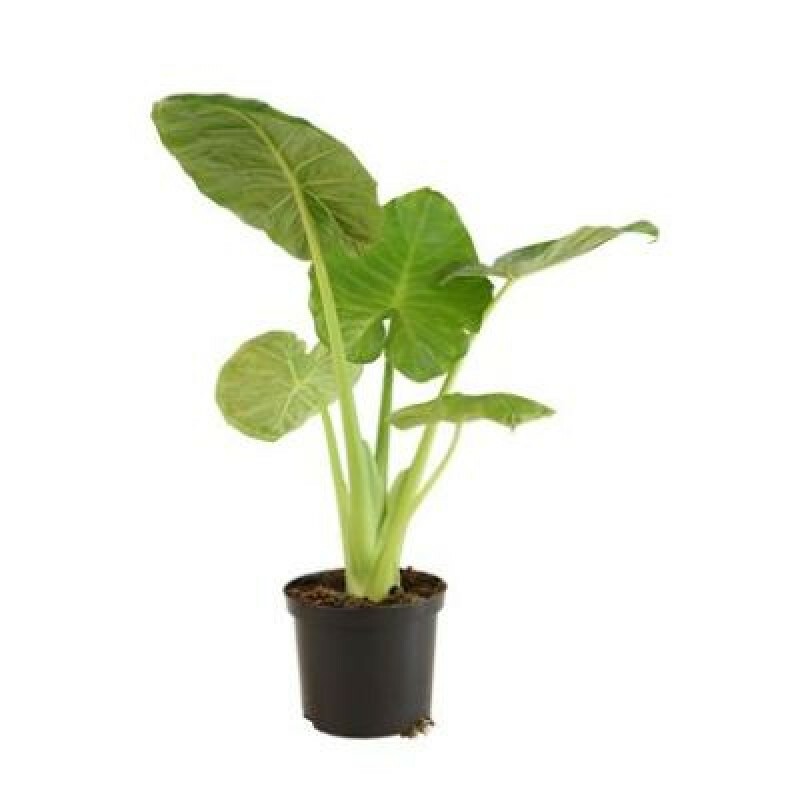 Alocasia also require soil that remains moist and doesn't dry out completely. Working 2 to 4 inches of compost into the site before you plant helps the soil retain moisture while also supplying organic matter. Avoid sandy soil that drains and dries quickly. The rhizomes, or tuberous roots, require frost-free weather to grow and avoid cold damage, so they are usually planted in spring after frost danger passes. You can also start them indoors six weeks earlier in pots, then transplant the actively growing plants outdoors after frost. Plant tubers 2 to 3 inches deep in the prepared planting site or pot. The proper spacing depends on the alocasia variety, but generally the plants require between 3 and 5 feet of space to spread their large leaves. The primary care consideration is water. Depending on weather conditions, alocasia can require frequent irrigation. Water when the top 1/2 inch of soil begins to dry. Growing in shade and mulching the bed prevents the soil from drying too quickly, but the plants might still require two or more waterings a week during dry weather. Alocasia benefits from slow-release fertilizer applied every two months during the growing season. Use a fertilizer formulated for foliage plants and apply it at the package-recommended rate. Spider mites might infest the leaves. Rinse the pests off the foliage with a sharp spray of water, or treat with a miticide applied according to package directions. The cold hardiness of alocasia varies depending on the variety, but most can't tolerate frost. The foliage usually dies back and can be removed in fall. In mild climates that rarely experience prolonged frosts, covering the roots with 2 to 3 inches of mulch usually provides enough insulation for winter protection. Less hardy alocasia varieties, or those grown in cooler areas, must be dug up and overwintered indoors. Store the tubers in dry peat moss in a cool basement or garage, where temperatures remain above freezing, until you replant in spring.